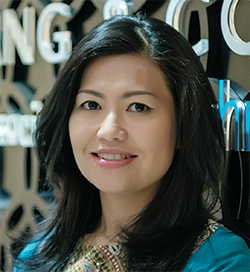 Ms. Saniah Wu had earned her Bachelor of Laws (SH) from the University of Indonesia in 2001. After considerable years of legal practice, Ms. Wu continued her further study abroad and obtained Master of Laws (LL.M) specializing in Business Corporate and Maritime Law from Erasmus University, Rotterdam, The Netherlands, in 2009. During her lengthy legal career, Ms. Wu has garnered extensive working experiences in several notable law firms and multinational companies. She gained exposure and trainings in various corporate legal matters, such as labor law, litigation matters, etc. Prior to joining Yang & Co. Law Office, Ms. Wu held position as the senior counsel in one of the biggest pulp and paper group companies in the world (the "Group"), handling various national and international legal matters of the Group such as acquisition, contract drafting and negotiation, representing the Group in international organization concerning WTO trade remedies cases and handling international litigation for the Group.